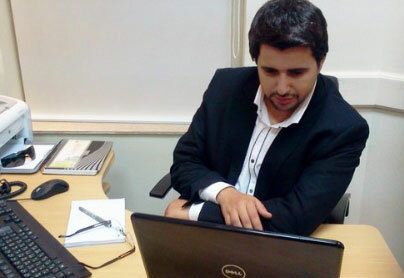 We have great pleasure in introducing you to Belal Kamel Abdalsalam, M.B.B.CH, MSc in General Surgery. Belal is from Egypt and is currently working in Saudi Arabia. 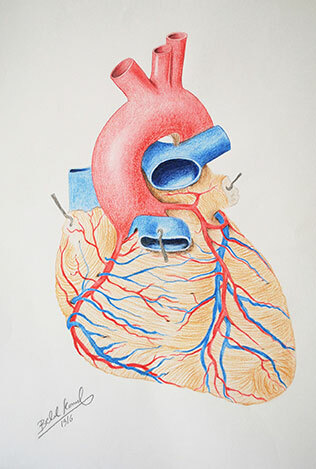 Belal initially contacted Joanna Culley via email for advice on becoming a medical illustrator and whether it was an achievable prospect. 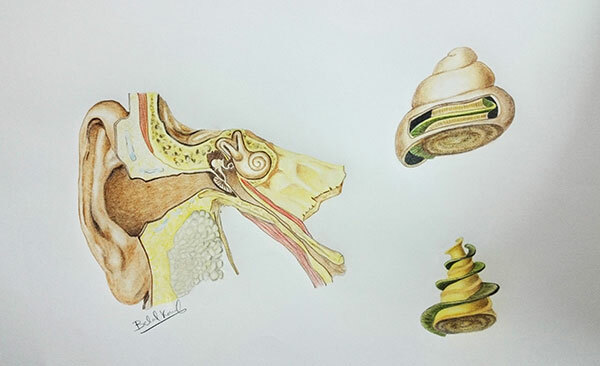 We were delighted to support Belal and we invited him to our studio to give him a professional insight to medical illustration. 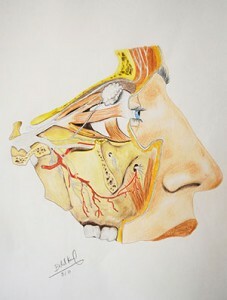 “Many people ask me why I’m passionate about becoming a medical illustrator. It all started in October 2007 in Egypt, during my last year in medical school, when my right forearm and hand was crushed in a glass door. More than five tendons and muscles were injured in the accident. After the reconstructive surgery, my hand was in a splint for over four months. It was a difficult time but after I finished rehab, a strange thing happened: I found that I was able to draw despite only being able to complete very basic sketches and drawings prior to my accident. With family support and encouragement, I decided to take my newly discovered talent forward and look to train as a medical illustrator. During my visit to her studio, she was able to demonstrate the latest updates in medical art and software tools as well as the latest award-winning projects from the Institute of Medical Illustrators. What I love about medical illustration is the synergy between art and science and how it brings the latest research and education to life. I will feel honoured to work in a field that improves patients’ experience of diseases and offers incredible insight to anatomical functionality. Medical illustration also plays a crucial role in advancing forensic medicine and reconstructive surgery, such as 3D printing technologies. Belal is intending to come to the UK and study an MSc in medical art with the University of Dundee who offer a professional Masters programme. The MSc aims to produce professionals at the cutting edge and will provide a supportive environment to nurture innovation and creativity.